As you know, wisdom teeth cut out late, which often cause problems, since the process affects the adjacent teeth and bone structures. If a tooth is unable to cut out, it is usually called a partially cut-out or a non-cut out tooth. Such condition jeopardises the adjacent teeth, nerves and bone structures. As a result of encumbered hygiene, one can often see gingival inflammations, a quicker caries development. In cases of a non-cut out teeth, one can see a cyst-like bone impairment, which has a very dangerous prognosis. In view of the above reasons, we recommend to control the wisdom teeth condition by X-ray and, whenever necessary, have them extracted under local or combined anaesthesia. 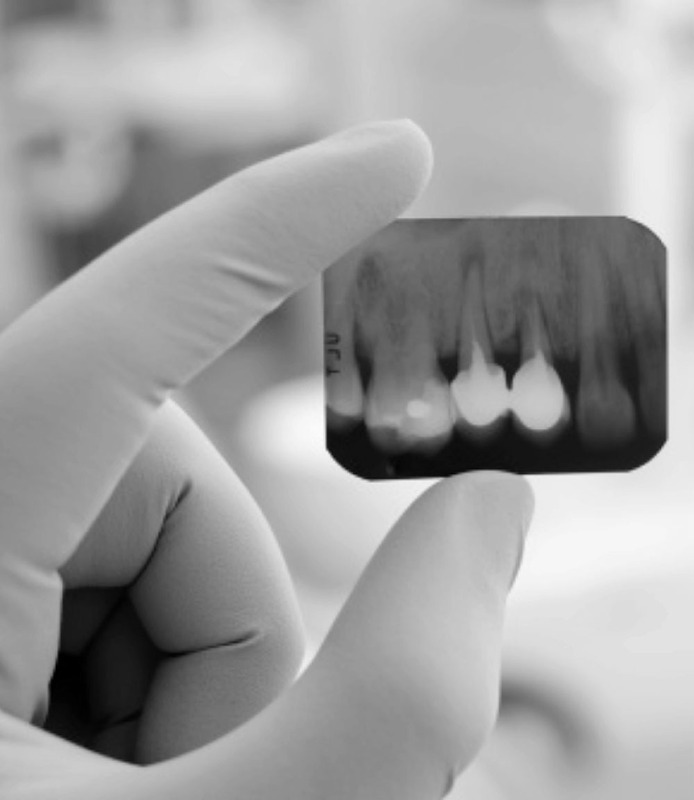 During this surgical procedure, the tip of the tooth root is resected and the tooth root canal is filled in a retrograde way with filling material. Such a procedure is necessary in cases when there is inflammation around the root, which does not heal even after root canal treatment or when it is impossible to fill the tooth canal to the end. Such operations are normally performed under local anaesthesia. A simplified scheme of the operation is shown on the figure above. The clinic has operating rooms with modern equipment meant for implantation, surgical manipulations and tooth extractions, also allowing the patient to rest after the operation.